Tomorrow, the Golden Globe nominees will be announced. In the meantime, I'll remember other globes. The first globe I ever really saw was the brownish globe my grandparents kept in their living room in South Dakota. I think it's in my grandma's basement now. 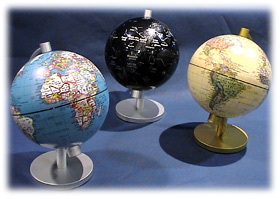 For a season I taught geographyy, we talked about and looked at globes as well. I don't think anyone ever has gotten me a snowglobe before...but that's okay, because I don't really want one. I once really wanted a geode (sort of like the one pictured left) and I think my mom and dad bought it for me. It had a fake gold minor in it. For some reason, I really liked it (I still kind of do). I think I tried selling it at a garage sale once, and it didn't sell, and for some reason, I've packed it along with me to college and so forth ever since. I think it's funny that the earth is the only planet in our socal system that doesn't derive from Greek/Roman Mythology. I guess that's because people probably called the earth something or other before the Greek's even existed. Before I got married I think the idea of having a globe seemed like a fun "household decoration." 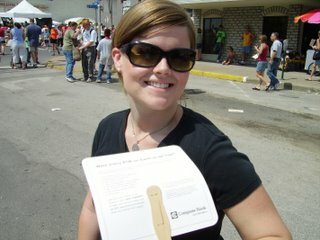 Now that am I married, I don't want anymore decorations, especially a round one that I can't easily hide in the closet. In my youth ministry days I was often asked to speak or pray at Boy Scout Eagle Courts of Honor. At the close of one year, the scoutmaster gave me a gift. A Boy Scouts of America official Sno-Globe! THe next year he brought me up and said "My wife thought we should give you something a little more useful than a sno-globe." It was a pen. I still have the globe. Lost the pen. Globes are an ever changing thing though. Different country names emerge over war torn and divided countries. The only thing we do with our antiquated globe is to toss it back and forth and sing, "I've Got The Whole World In My Hands!" My nephew is five - and he got my parents to buy him a globe last year. He loves to see people in the mall or at the grocery store and ask them where they're from. Then he goes home and finds it on the globe. He probably knows more geography than I do. I've always thought of globes living in the corners of expansive mansions in gothic thrillers or as props in old films. Perhaps this is because we never had room for such in the house I grew up in, so I figured they existed only in larger homes. That's interesting. Our world is sometimes referred to as "Terra" from the Latin word for "Earth". This is derived from the Roman goddess "Terra" who was similar to the Greek goddess Gaia, both of which represented "mother earth". you secretly love all of our christmas decorations...and what a guy for helping me put some of them up. 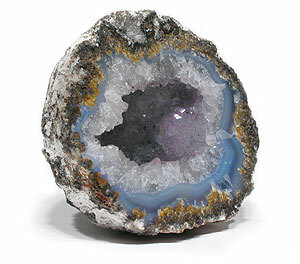 now i feel a little bad for trying to throw your geode when we moved last. i won't throw it away...ever.